What better way to party tropics style than throwing an unforgettable luau party? 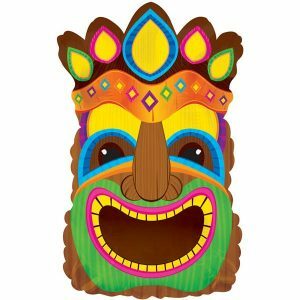 Add colour to your backyard with Hawaiian leis, hula skirts, tiki torches, colourful piñatas, and of course, colourful cocktails. Make an unforgettable Hawaiian themed party with these party ideas and inspirations. You can find a wide range of flip flops styles and colours online. Your guests will have a pleasant welcome in this comfy footwear. You can custom make your own Hawaiian style flip flops by sticking colourful flowers on your usual flip flops using hot glue. Take away the heat with cool drinks covered in hula skirt inspired cozies. You can make these colourful mini beauties using grass laces or papier mâché. Dip them in water and hang them from necks of cans and bottles. 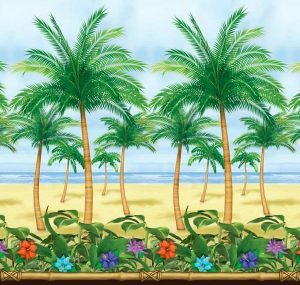 There are plenty of areas to place your colourful flower leis. You can hang them on the fence, hang others on the gate. Have plenty of colourful balloons floating on the yard attached to short shrubs with strings. 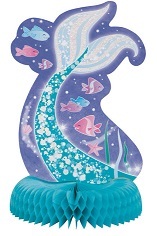 Use Hawaiian party balloons to decorate your Hawaiian luau themed party with grinning sharks, shimmering blue dolphins, floating seahorses in pinks and oranges, and richly coloured tropical fish. Latex balloons in bright jewel colours printed with palm trees and hibiscus flowers will be wonderful complements on the lawn. Spoil your guests with treats from giant piñatas. Stand them in the lawn to watch out and offer surprises to adults and kids alike. If your party goes into the evening, light up with Hawaiian inspired lights. Wrap banana stalks around your candle holders to make green lanterns. Use flaming torches set on long sticks in the ground to mark different pathways. What is a luau party without the silent watchers? Make colourful totems and place them at the four corners of the yard. You can buy or make them yourself with ceramic vases. Set the table with plenty of fresh fruits. Bananas, pineapples, oranges, strawberries, and other tropical fruits are good for this colourful set. Serve spicy food that is appropriate for all your guests. The yellows of curry will be very appetising. Complete the culinary delight with a variety of colourful cocktails. Do not skip the limbo. Pick the most colourful lei as a prize for the one who goes lowest. Use a bamboo pole to set the bar. Hula hooping is simple, fun, and energetic. Dance the night away in true Hawaiian fashion. This entry was posted in Hawaiian on August 25, 2017 by Mercurian.